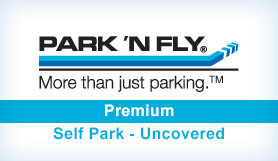 Save yourself from worrying about parking at Atlanta Airport and book with Atlanta Park ‘N Fly. Their incredible door-to-door service and online parking reservations system take all the stress out of airport parking. Atlanta Park ‘N Fly employs a fleet of shuttles to ensure you get from your vehicle to the terminal doors within a few minutes. The car parks are even protected around the clock by a security force, so you can be certain that when you drop-off your car it’ll be safe until your return. Please note: you’ll receive a confirmation email from both Looking4Parking and Atlanta Park ‘N Fly. Luggage assistance, hand car wash & detailing service available. Please exit through the cashier booth, giving the cashier your name so they can find your reservation in our system.